With Earth Day a week away, we collaborated with the UI Gardeners, the Office of Sustainability, and the UI Environmental Coalition to bring you a ton of tidbits on the ways our campus strives to be a bit more environmentally conscious. The BBE Greenhouse is home to a hydroponics system which grows veggies without soil. As demand for agricultural land rises and soil conditions worsen, hydroponics is expected to become a more popular method of sustainable food production in coming years. The UI Gardeners’ organic student garden donates hundreds of pounds of fresh-grown produce to local food pantries each season, combating food insecurity right here in Iowa City! The Gardeners also offer part of their harvest to hungry university students in the fall with a free produce cart. If you take a closer look at some of the raised beds in the Tippie Courtyard, you can find various herbs organically grown by the UI Gardeners, free for the taking. Spice up that Pat’s Diner sandwich with some fresh basil next time! UIowa has recently started the UI Rideshare program that allows students to find people to commute to and from campus with! All you have to do is go here , and get started! This is a great way for students to reduce their carbon footprint and save money! Since it’s Earth Month, there are many outdoor service projects that you can participate in over the course of these next few weeks! Anybody can be an EcoHawk! All you have to do is sign up and take the pledge! UIowa wants to make sure you donate instead of dumping when you move out! If you live in the resident halls, there free donation trucks available by Burge, Hillcrest, and Mayflower. See the schedule here! The UI Environmental Coalition, the first official and longest running environmental and sustainability focused organization at the University of Iowa, provides sustainability advising to other student organizations to help them with their operations. The UIEC also hosts a Treasure Trade every year where they set up a free pop-up thrift shop! Students can donate items or take new ones as they please! This year, it will be on April 25th. 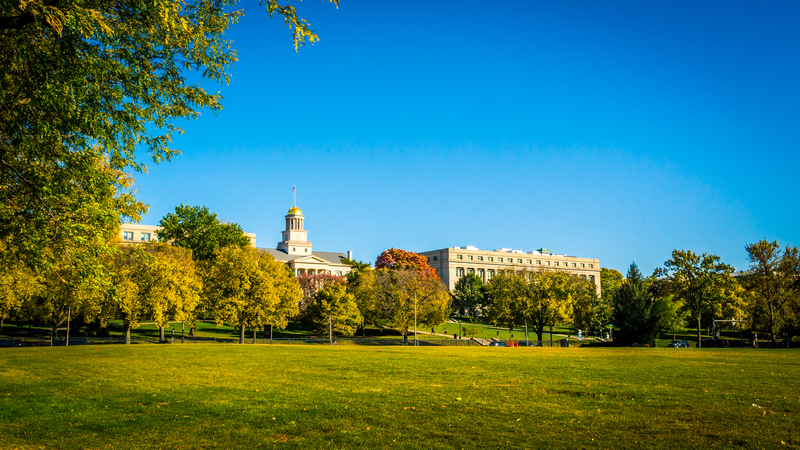 The University of Iowa has a 7-step plan for reducing its negative environmental impacts by the year 2020. That along with the help of the students will help to truly make our campus as green as possible! Happy Earth Month! Enjoy the beautiful weekend and get excited because Earth Day is coming up soon!